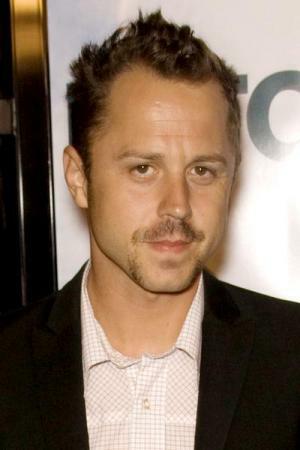 Antonino Giovanni Ribisi was born on 17 December 1974, in Los Angeles, California, USA, of Italian, English and German descent. Giovanni is an actor and producer best known for his early years as a child star in shows including “The Wonder Years”. He’s also well known for his roles in popular series such as “Friends” and “The X-Files”. All of his efforts have helped in raising his net worth to where it is today. So how rich is Giovanni Ribisi? As of early-2016, sources estimate a net worth that is at $34 million, mostly earned through a successful career in acting. He’s been doing films and television shows his entire life and has also done some voice work for the video game industry. All of these have helped in raising his wealth. Ribisi’s mother was a manager of writers and actors, who also helped him and his twin sister, actress Marissa Ribisi, get a head start in their careers. Giovanni began his acting career at a young age, and as a child actor appeared in the shows “Married…with Children”, “The New Leave It to Beaver” and “My Two Dads”. He gained a lot of recognition for an episode of “The X-Files”, and would later get the opportunity to be a recurring cast member as Frank, Jr. in the hit show “Friends”. One of the films that truly put Giovanni in the spotlight would be Steven Spielberg’s “Saving Private Ryan” which received rave reviews. Since then he has continued his work in films such as “The Mod Squad” and “The Other Sister”. Giovanni appeared in a lot of episodes of the series “My Name is Earl” from 2005 to 2008, gaining an Emmy nomination for his performance. He also starred in more major films such as “Gone In Sixty Seconds” with Nicolas Cage, and Sam Raimi’s “The Gift”. He has also made a few appearances in the HBO series “Entourage”. Throughout his career he has appeared in over 40 films and more than 25 television productions, and has worked with multiple celebrities with names that include Jude Law, Nicole Kidman, and Tom Hanks. Aside from film and television roles, Giovanni has appeared in a few music videos including “Crystal Ball” for the band “Keane”, and “Talk About The Blues” by Jon Spencer Blues Explosion, who also included Winona Ryder. He’s also lent his voice for three video games, which are “Call of Duty”, “Marc Ecko’s Getting Up: Contents Under Pressure” and “James Cameron’s Avatar: The Game”. All have added to his net worth. For his personal life, it is known that Ribisi was married to actress Mariah O’Brien in 1997 and they have a daughter; they divorced in 2001. Six years later, Giovanni met and lived with rock singer Cat Power until 2012. In June 2012, he married model Agyness Deyn, but they filed for divorce in 2015. Aside from that, Ribisi is a well-known active scientologist and can be seen in the group’s various major events. His daughter can also be seen in Beck Hansen’s album and two albums of Sia. 1 (2011, on landing The Rum Diary (2011)) I had worked on a movie called Public Enemies (2009) with Johnny Depp, and then I heard that he was doing this. So I actually wrote him a little note saying if he needed any help with craft service or anything like that, that would be wonderful, I'm around, I'm available. Next thing I know, I was sitting in front of (director) Bruce Robinson and we spoke about the character for a couple of hours. And then we all found ourselves down in Puerto Rico. 2  I really think a film's success doesn't have that much to do with how good-looking the leading man is. It's about the quality of the film and the performances. I think I'm more leading man than 50 percent of the leading men out there. What I do is more about me and my choices than about what hole Hollywood might think about putting me into. 3  I'm really happy with where I am, the movies in my life. Not satisfied, necessarily. But I won't put it on somebody else, blame anybody else for my position in the business. It's the choices I have made. 4 [on auditions] It's not necessarily me auditioning for them. It's them auditioning for me as well, and really seeing how the rapport will be with the director. The work starts immediately there. 5  I just consider myself a committed actor. If a movie is a success, that's great; I'm happy for that. But I've learned just to concentrate on my job and do the best that I can. 6 (On getting into character) I do have a certain technique that varies from part to part because everybody is different. But I don't want to have a viewpoint in terms of fame or being a leading man. I feel like I'm on a certain path as far as my technique and I'm trying to get better and better and better. I want to maintain that and be more committed every time out and learn more about myself. 7 (On being recognized for his Friends (1994) episodes) I did "Friends" usually always while I was doing another movie. I would literally have to get off the set and rush to Warner Bros. and look at the script and have to do it right there in front of an audience. It's like a blip in my memory where I was stressed out, trying to remember lines. So people come up and say, 'The guy who melts stuff!' and I don't even remember it. Like, what are you talking about? 8 My mother told me I was begging her to be an actor when I was four. My father and my grandfather saw at least one or two movies a week; they were film buffs, so I guess it just rubbed off on me. And now it's kind of become a way of life for me. I could almost say it is my religion. I guess that sounds pretentious. But I want to live and breathe cinema. - Reel Interview, 2000. 9 For me, acting is all about the aesthetic. I just want to keep honing my craft. Not that I'm taking myself too seriously, but every artist should consider himself Picasso. Otherwise, you're doing yourself an injustice. 1 He is an active Scientologist. 2 As of 2015, has appeared in four films that were nominated for the Best Picture Oscar: Saving Private Ryan (1998), Lost in Translation (2003), Avatar (2009) and Selma (2014). 5 He went to school for many years, studying computer graphics, and during production of Avatar (2009), he partnered with Stereo D, a company who converts 2D images into stereoscopic 3D images. Giovanni helped spearhead his company's efforts to win bids to do some of the images for 'Avatar', unknown to James Cameron at the time. Stereo D has since gone on to do the 3D post-conversion on such films as 'Titanic 3D', 'Jurassic Park 3D', 'Marvel's The Avengers', 'Star Trek Into Darkness', and 'Pacific Rim', among others. 6 Brother-in-law of Beck and Channing Hansen. 7 First appeared, uncredited, on Friends (1994) in Friends: The One with the Baby on the Bus (1995) at the end, as the guy who had dropped a condom in Phoebe's guitar while she was singing in front of Central Perk (because the manager hired a professional musician). Later that season, he came back in Friends: The One with the Bullies (1996) as "Frank Buffay Jr.", Phoebe's younger half-brother, a character that stayed for 8 episodes over several seasons. 8 His paternal grandfather was of Italian origin. His other ancestry includes German and English. 9 Often eats at Los Feliz restaurant Little Doms. Sandra Oh, Hannah Telle, Michael Cera, Drew Barrymore, Bo Barrett, and Katherine Heigl also frequent this local hot spot. 10 Was born at 8:15pm. 11 Was approached to play "Lynch McGraw" in Hero Wanted (2008) but turned it down. 12 When he was a child, his family had a pet dachshund named Low-Rider. 13 He is 15 minutes older than twin sister Marissa Ribisi. 14 Clashed with filmmakers on the Basic (2003) set because of the inclusion of a female Special Forces operative. Women are not eligible for combat in the US military. He felt it compromised the integrity of the story. 15 Perennially boyish American character actor known for his dark, somber demeanor, stark versatility and bizarre, off-the-wall performances in cutting edge contemporary films. 16 Best known on TV in the recurring role of Lisa Kudrow's dim-bulb brother on Friends (1994). 17 Made the cover of "Vanity Fair" after receiving critical kudos for Saving Private Ryan (1998). 18 Won the ShoWest Newcomer of the Year Award in 1999. 19 Once competed on family game show I'm Telling! (1987) with sister Marissa Ribisi. 20 Studied acting at The Beverly Hills Playhouse with Milton Katselas. 21 Family: Son of Gay Ribisi; older brother of Gina Ribisi; twin brother (15 minutes older) of Marissa Ribisi; brother-in-law of Beck. 22 Daughter Lucia (born December 1997) is named after the doomed heroine in the Donizetti opera. Boiler Room 2000 "Things Done Changed"
How old is Agyness Deyn, who is the Hard Sun actress’s husband Joel McAndrew and when was she married to Giovanni Ribisi?